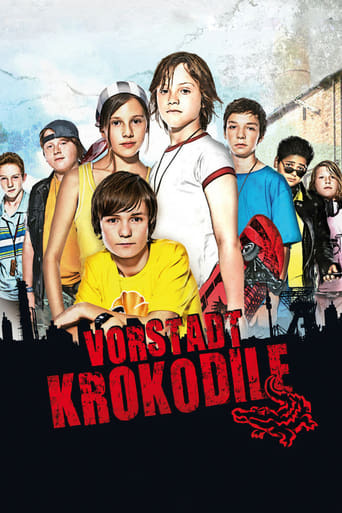 Ten-year-old Hannes, growing up with his young, poor and single mother wants to join the coolest gang in the area, the Vorstadtkrokodile. When the ‘entry test’ goes wrong, Hannes’s life is saved by Kai, who is desperate to join too but is wheelchair bound and unable to even run away when things get hot. Hannes would accept Kai but the other gang members don’t seem happy to accept a handicapped member. Finally Kai has something to offer. One night a shop is robbed and Kai sees the robbers with his telescope. This is his chance to give some important information to the Crocodiles who want to catch the robbers and gain the € 1000 reward. The Crocodiles and their new member will embark on a big and dangerous adventure.